This is the newest addition to the Moen lineup. Excellent little Vibe that conjures up those Hendrix and Trower tones. Sound very nice on clean settings as well as drive. Space saving design. Vibes can get pricey, so a great way to add some liquid vibe responses to your arsenal at a great price. Brand new for 2016! Excellent Vibe response in a small box. 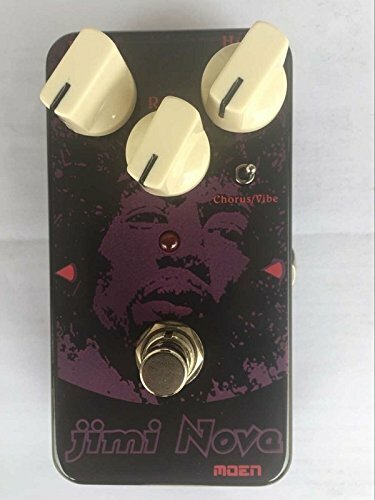 Little brother to the Moen Shaky Jimi. Toggle option for both Vibe and Chorus settings. Great price for adding some modualtion to your signal chain. If you have any questions about this product by Moen Technology, contact us by completing and submitting the form below. If you are looking for a specif part number, please include it with your message.